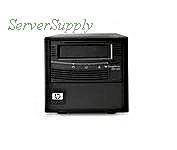 Dell - PowerVault 132T SDLT The PowerVault 132T SDLT Tape Library-This unit is a new system pull and it may have minor scuffs and scratches and the lock/key are missing but it is fully operational and functions as intended! It includes Mounting Rails. Dell - U1843 DELL - 160/320GB SDLT320 SCSI/LVD INTERNAL FH TAPE DRIVE (U1843). IN STOCK. SAME DAY SHIPPING. Dell - 0U1843 DELL - SDLT320 160/320GB INTERNAL SCSI/LVD TAPE DRIVE (0U1843). IN STOCK. SHIP SAME DAY. 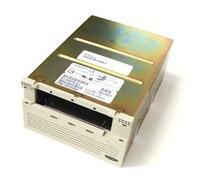 Hewlett Packard - 257321-001 HP/COMPAQ - 160/320 SCSI SDLT LVD INT CARBON TAPE DRIVE (257321-001). IN STOCK. SAME DAY SHIPPING. 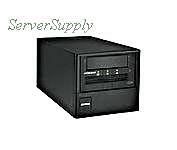 Dell - TR-S23XA-DA DELL - SDLT 160/320GB LOADER LIBRARY TAPE DRIVE (TR-S23XA-DA). IN STOCK. SAME DAY SHIPPING. Dell - TR-S23AA-AZ DELL - SDLT 320 160/320GB LVD SCSI INTERNAL TAPE DRIVE (TR-S23AA-AZ). IN STOCK. SAME DAY SHIPPING. 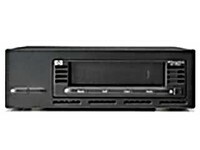 Dell - 6U103 DELL - 160/320GB SDLT320 SCSI/LVD INTERNAL FH TAPE DRIVE (6U103). IN STOCK. SHIP SAME DAY. Dell - 06U103 DELL - 160/320GB INTERNAL SDLT TAPE DRIVE (06U103). IN STOCK. SAME DAY SHIPPING. 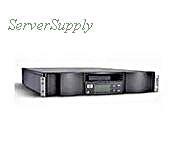 Dell - X6035 DELL - 160/320GB SDLT 320 SCSI/LVD INTERNAL FH TAPE DRIVE (0X6035). IN STOCK. SHIP SAME DAY. 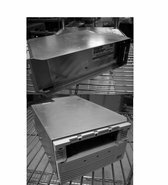 Quantum - TR-S23AA-EY QUANTUM - SDLT320 160/320GB INTERNAL LVD TAPE DRIVE (TR-S23AA-EY). IN STOCK. SAME DAY SHIPPING. Dell - 0X5463 DELL - 160/320GB EXTERNAL SDLT TAPE DRIVE(0X5463). SHIP SAME DAY. Hewlett Packard - 257322-001 HP/COMPAQ - 160/320GB MS5000 SDLT LVD LOADER READY TAPE DRIVE (257322-001). IN STOCK. (BARE DRIVE ONLY). SAME DAY SHIPPING. 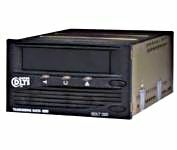 Quantum - TR-S23AA-YF QUANTUM - 160/320GB SDLT-320 ULTRA 160 SCSI LVD/SE FH INTERNAL TAPE DRIVE (TR-S23AA-YF). IN STOCK. SHIP SAME DAY. Hewlett Packard - TR-S23XA-CA HP/COMPAQ - 160/320GB SDLT SCSI/LVD FH LOADER READY TAPE DRIVE (TR-S23XA-CA). IN STOCK. SHIP SAME DAY. 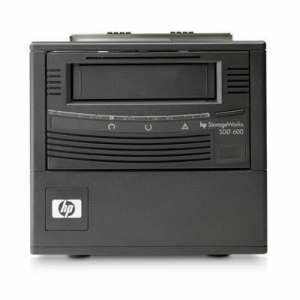 Hewlett Packard - 70-80014-08 HP/COMPAQ - 160/320GB SDLT SCSI LVD LOADER READY FH TAPE DRIVE(70-80014-08). IN STOCK. SAME DAY SHIPPING. Quantum - SDLT320 QUANTUM - SDLT 320 160/320GB EXTERNAL SCSI TAPE DRIVE (SDLT320). IN STOCK. SAME DAY SHIPPING. 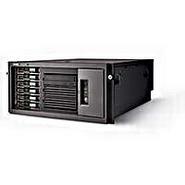 Dell - X6955 DELL - 1.28/2.56TB SDLT 320 PVT22T SCSI/LVD 8-SLOTS DESKTOP AUTOLOADER (X6955). IN STOCK. SHIP SAME DAY. 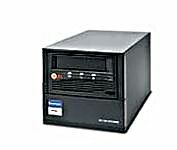 Quantum - TR-S23BA-YF QUANTUM - 160/320GB SDLT320 ULTRA 160 SCSI LVD EXTERNAL TAPE DRIVE (TR-S23BA-YF). IN STOCK. SAME DAY SHIPPING. Dell - X5463 DELL - 160/320GB EXTERNAL SDLT SCSI LVD TAPE DRIVE (X5463). IN STOCK. SHIP SAME DAY. Dell - 02Y359 DELL - 160/320GB SDLT320 SCSI/LVD LOADER WITH TRAY PV132T TAPE DRIVE (02Y359). IN STOCK. SHIP SAME DAY. 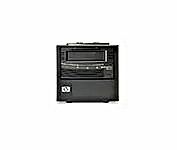 Hewlett Packard - 293537-001 HP/COMPAQ - ESL9000 SDLT 160/320GB WITH HOT SWAP SLED TAPE DRIVE (293537-001). IN STOCK. SAME DAY SHIPPING. Hewlett Packard - 293414-B21 HP/COMPAQ - 160/320GB SDLT 320 SCSI LVD LOADER LIBRARY ESL9000 TAPE DRIVE (293414-B21). IN STOCK. SAME DAY SHIPPING. Hewlett Packard - 293475-B21 HP/COMPAQ - 160/320GB MS5000 SDLT LVD LOADER READY TAPE DRIVE (293475-B21). IN STOCK. (BARE DRIVE ONLY). SAME DAY SHIPPING. 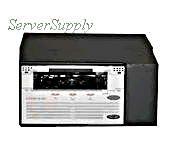 Dell - 5U449 DELL - 160/320GB SDLT 320 SCSI LVD/SE EXTERNAL TAPE DRIVE FOR PV 110T (5U449). IN STOCK. ship same day. 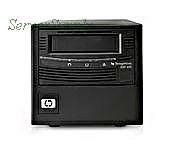 Hewlett Packard - 293532-001 HP/COMPAQ - 160/320GB MS5000 SDLT LVD LOADER READY TAPE DRIVE (293532-001). IN STOCK. (BARE DRIVE ONLY). SAME DAY SHIPPING. Dell - PowerVault 136T Genuine Original Dell PowerVault 136T Series LTO/SDLT Tape Library DD169 0DD169 US-0DD169. 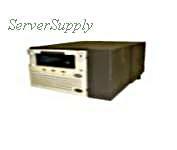 Hewlett Packard - AA926-69001 HP/COMPAQ - 160/320GB MS5000 SDLT LVD LOADER READY TAPE DRIVE (AA926-69001). IN STOCK. (BARE DRIVE ONLY). SAME DAY SHIPPING. Quantum - TRS23BA-EY QUANTUM - 160/320GB SDLT320 SCSI LVD/SE EXTERNAL TAPE DRIVE (TR-S23BA-EY). IN STOCK. SHIP SAME DAY. 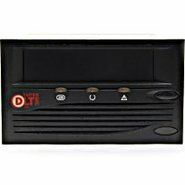 Quantum - TR-S23BB-YF QUANTUM - SUPER SDLT 320 160/320GB EXTERNAL ULTRA SCSI/HVD TAPE DRIVE (TR-S23BB-YF). IN STOCK. SHIP SAME DAY. 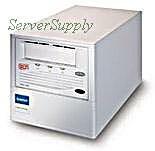 Quantum - TR-S23AA-BR QUANTUM - 160/320GB SCSI SUPER SDLT TAPE 320 DRIVE INTERNAL (TR-S23AA-BR). IN STOCK. SHIP SAME DAY. 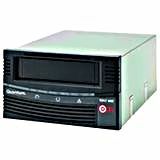 Quantum - TR-S23AA-AZ SDLT320 Internal 160 320GB LVD SCSI Tape Drive (Black) TRS23AA SDLT 320 Refurbished 90 Day Warranty. IBM - 59P6720 IBM - 160/320GB SDLT SCSI/LVD 68-PIN INTERNAL TAPE DRIVE (59P6720). IN STOCK. SHIP SAME DAY. 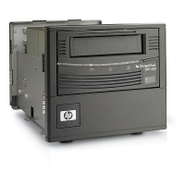 Hewlett Packard - AA926A HP/COMPAQ - 1.28/2.56TB (8-SLOT) SDLT320 LVD/SE TAPE STORAGEWORKS AUTOLOADER 1/8 (AA926A). IN STOCK. SHIP SAME DAY. Hewlett Packard - 330818-B21 HP/COMPAQ - 160/320GB SDLT 320 LOADER WITH TRAY FOR SSL SERIES (330818-B21). IN STOCK. SAME DAY SHIPPING. 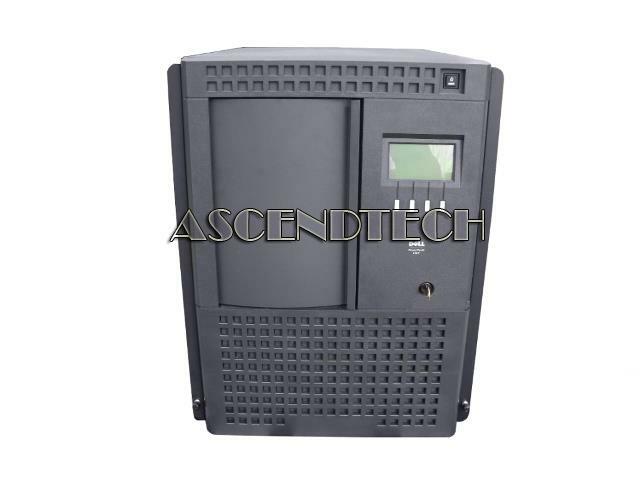 Sun - 380-0820 SUN - 160/320GB SDLT320 SCSI LVD LOADER READY MODULE L25-L100 FH TAPE DRIVE (380-0820). IN STOCK. SHIP SAME DAY. 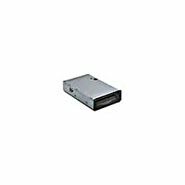 Sun - SG-XTAPSDLT320-D SUN - SDLT 160/320GB TAPE DRIVE MODULE FOR L180/L700. (SG-XTAPSDLT320-D). IN STOCK. SAME DAY SHIPPING. 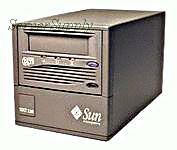 Sun - 380-0826 SUN - 160/320GB SDLT SCSI LVD EXTERNAL TABLETOP TAPE DRIVE (380-0826). IN STOCK. SHIP SAME DAY. 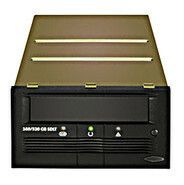 Sun - SG-XTAPSDLT320-DRV SUN - 160/320GB SDLT320 SCSI/HVD LOADER READY FH L180/L700 TAPE DRIVE (SG-XTAPSDLT320-DRV). IN STOCK. SHIP SAME DAY. 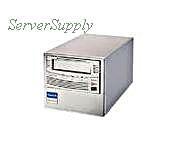 Sun - 380-0808 SUN - 160/320GB SDLT320 SCSI/HVD STK FH LOADER READY TAPE DRIVE (380-0808). IN STOCK. SHIP SAME DAY.